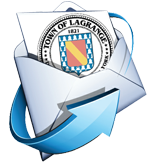 The Town of LaGrange is governed by the elected officials and the elected or appointed boards. The Town Board is the lead organization in governing the Town of LaGrange and is responsible for all legislative decision making. Business Meeting - Second & Fourth Wednesday of each month - 7:00 pm. All meetings are held at the Town Hall, 120 Stringham Road, LaGrangeville, NY 12540. The Planning Board is charged with administering land use regulations and land subdivision for the orderly, efficient and economical development of the Town. In the process, information and comments from the public are gathered and evaluated to properly consider safety, flood, fire protection, drainage, traffic flow, town facilities and recreation facilities. Consideration is given to the site environment, the scale and character of the existing neighborhood and overall improvement of the Town. The Planning Board advises the Town Board on legislation concerning growth and development of the Town. Planning Board Members are appointed by the Town Board for 5-year terms. The Zoning Board of Appeals hears and decides on appeals from and reviews any order, decision and determination made by the Building Inspector. The board is empowered to modify the strict requirements of zoning adding flexibility to land use regulations through the exercise of administrative discretion concerning the unique aspects of a given lot, home location, or project. Zoning Board of Appeals Members are appointed by the Town Board for 5-year terms. The board is empowered to modify the strict requirements of zoning adding flexibility to land use regulations through the exercise of administrative discretion concerning the unique aspects of a given lot, home location, or project. Variances to zoning regulations are granted when exceptional or unique physical conditions create practical difficulty or unnecessary hardship depriving the owner of reasonable use of the land. Authority is granted in Section 100-93 of the Town Code to interpret the Zoning regulations. In doing so, information is gathered and input accepted from the public and adjacent land owners to assure that providing relief to the hardship does not diminish the value of adjoining property, public health, safety or harmony with the surrounding community. 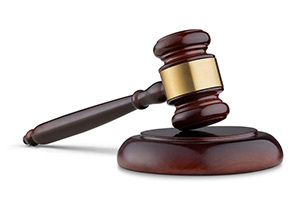 The Zoning Board of Appeals meets on the first Monday of each month at 7:30 p.m. The Board of Assessment Review(BAR) is a lay body of citizens who live in the town or municipality. They may or may not have real estate expertise. Their purpose is to listen to the grievances of property owners and possibly make changes in the assessments. 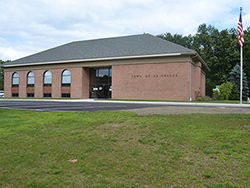 Grievances can be filed with the Town Assessor's Office on or before Grievance Day. The changes that are made by this board are entered on the tentative roll which when complete will be published as the Final Roll. The Final Roll is effective as of the 1st of July. The BAR meets on the fourth Tuesday of May each year.